Description: 4240 +/- sf Condo Unit Available. Located in a multi-tenant Commercial Office Building on busy Randolph Street. Partial brick exterior, windows fronting Randolph Street and canopy entryway. Main level is 3140 sf with high ceilings, a large open work area, offices and a restroom. A spiral staircase leads to a 1100 sf second story loft with offices and attic storage. Bay door and work area in rear of building. Unit is currently unoccupied. 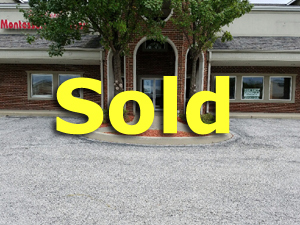 Great opportunity to locate your business in fast growing Winfield Indiana. Some use restrictions do apply. *Square Footage per the Lake County Indiana Assessor's records, please verify.